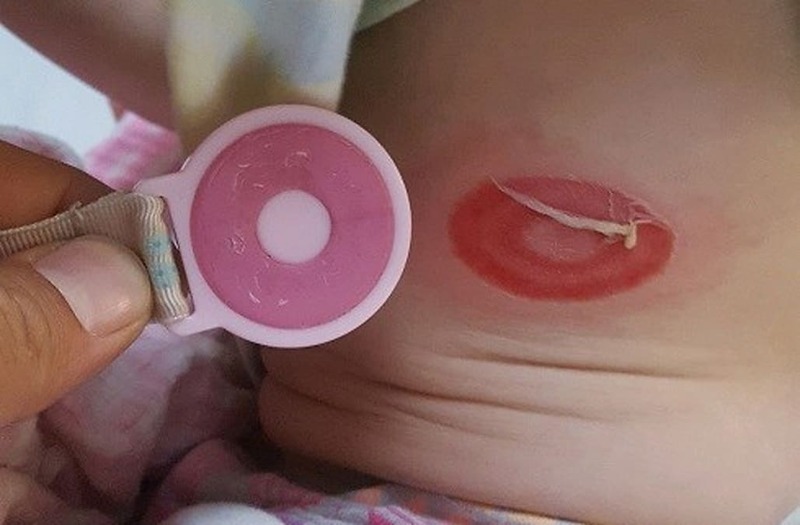 An Ohio mother is warning other parents about the possible dangers of pacifiers after her daughter suffered second-degree burns from the plastic device. Ashley Bilek said her two-year-old daughter, Madelynn, is recovering from injuries after waking up to burns she received from napping on top of the object in late July. According to WOIO-TV, Bilek said the pacifier was stuck to Madelynn's stomach when she woke up in tears with a large red burn on her side. "When I picked her up she screamed and she grabbed her side," Bilek told the local station. "I lifted up her shirt and saw that she had this perfect circular wound on her. I didn't know what it was." Bilek said she and her husband rushed Madelynn to a nearby hospital shortly after where she eventually had to be taken to a burn center to have her wounds properly dressed. There, Bilek said doctors told her Madelynn's body heat caused the pacifier's rubber ring to attach to her body. "When someone is laying down on something like this and it causes pressure, it can decrease blood flow to the skin. That area of the skin kind of dies off and essentially mimics a burn injury," Dr. Anjay Khandelwal of the Comprehensive Burn Center told WOIO. "If she was laying on this clip for a prolonged period of time, sometimes we see damage that mimics third-degree burns, and there's a lot of times where something like that can even cause damage to the underlying muscle."